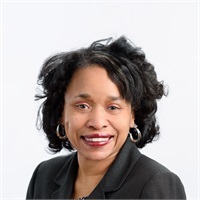 Gwen has worked in the financial services industry since 2007 and her client-centered approach is a result of 30 years of experience in administrative operations and customer service. She joins us after spending the past 11 years with a boutique Wells Fargo firm in Birmingham, MI. She holds a B.A. in Accounting, Finance/Management from Olivet College. Her interests include cooking, traveling and reading.....her favorite title, by far is Mom. Her son Justin is a VP of Global Technology with JP Morgan in Manhattan. Her daughter Carrielle lives in Miami and is pursuing a career in Hospitality/Culinary Arts.